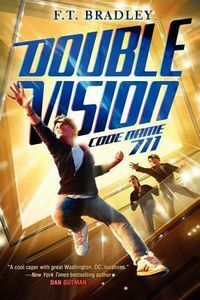 Double Vision: Code Name 711 by F. T. Bradley: Synopsis and Online Purchase Options. Synopsis (from the publisher): Washington, DC. Where spies are everywhere. Lincoln Baker is just a regular kid. Okay, so he had this one undercover mission in Paris and, sure, he might have saved the world, but that's ancient history. He's done being a junior secret agent for Pandora. The trouble is, Pandora isn't done with him. They've received a threat on the president's life from an agent named Dagger. Now they want Linc to go to Washington, DC, to protect the first daughter, Amy. As if that's not enough, George Washington's legendary coat, rumored to make its wearer invincible, is missing. Pandora needs to find it before Dagger does. Unfortunately for Linc, his by-the-book agent nemesis, Ben Green, is already on the case. With Amy's help, Linc will have to dig deep into the history of America's first spies to beat Ben at his own game and stop Dagger before it's too late.